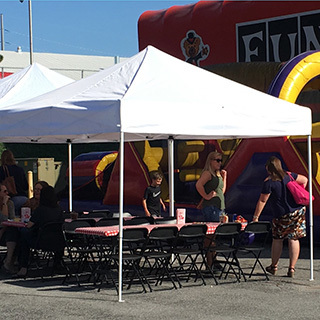 Fun Services has 8’ and 6′ long tables available to rent for your next special event. 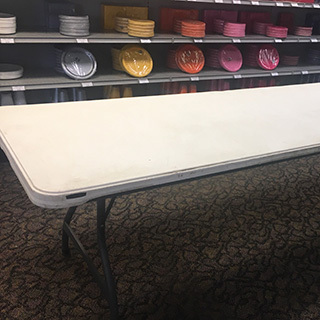 Our tables can be used for dining, as a base for carnival games, or as a concession food stand. 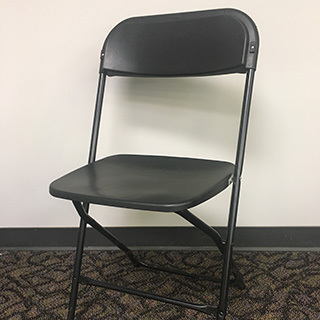 We offer black folding chairs with plastic backing and seating. Eight to ten chairs can fit around our 8’ long tables. 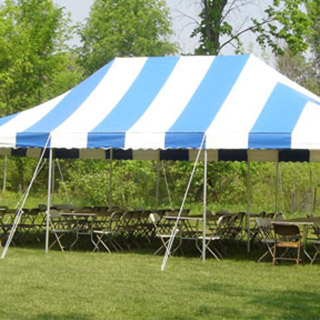 Fun Services offers 20’x30’ or 20’x20′ canopy tents that are perfect for shielding guests from the bright sunlight. These canopies must be set up on grass and work great for outdoor church festivals or graduation parties. You can choose between a red and white striped canopy or plain white canopy. We’ll do all the hard work of setting up for you! 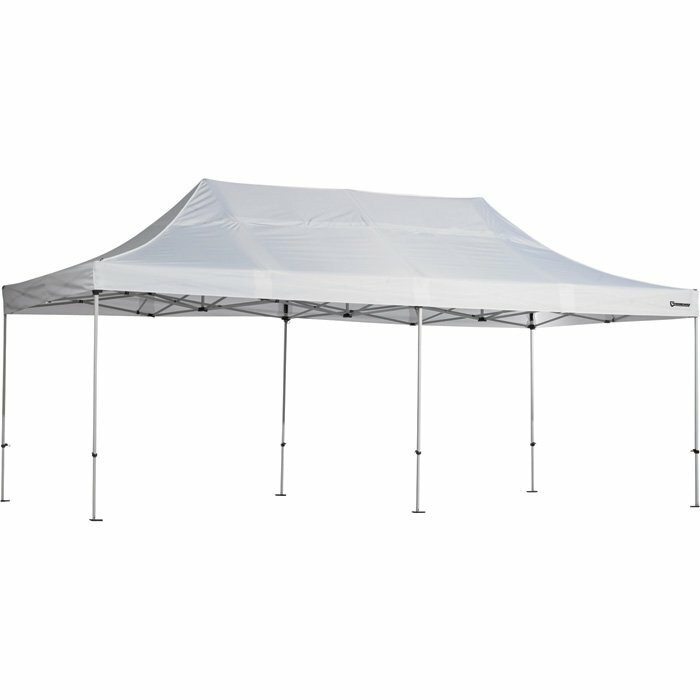 We also offer white 10’x20′ or 10’x10’ pop up tents that are great for housing concessions or catering. These tents can be set up on grass or concrete. If you’re wanting that real carnival feel, look no further than our traditional red and white striped booths. 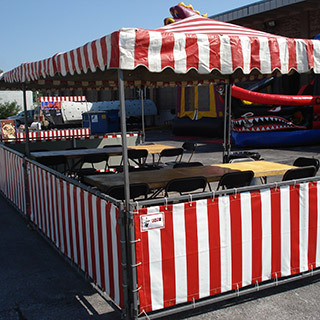 These booths are 10’x10’ and are often used to enclose carnival games. They also work great for serving concessions at summer festivals. Looking for any eye-catching piece to draw guests into your event? Try out our Wavy Dancers! 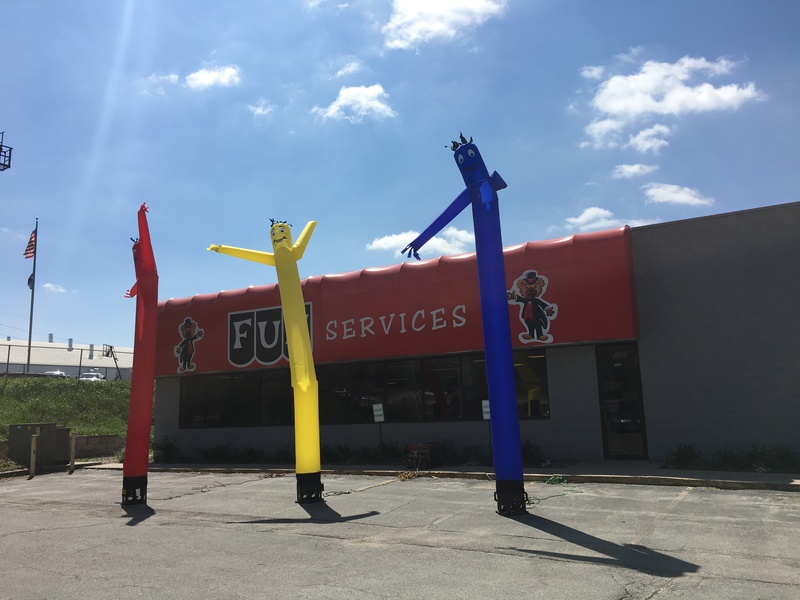 These wacky guys come in three different colors, yellow, blue and red. We’ve nicknamed them Walter, Wigby and Willy! Any rental over 100 pieces will incur an additional set-up fee, unless client would like drop off only and does set-up on their own. Delivery pricing outside Omaha is dependent upon mileage, number of pieces rented and if set-up is requested. Please call 402-393-7393 for a quote. Rent equipment for your party today!